Family Tree Healthcare has teamed up with Tony Porter with "A Call to Men" along with "The Arizona Coalition to End Sexual Assault and Domestic Vilence" and "Wholistic Counseling and Wellness Alternatives, LLC" to present "Touchdown for Tenderness". Domestic Violence and sexual assault are terribly harmful, widespread problems in the United States. They occur in every community, and in some way damage every aspect of our society and our lives. The NFL, its media, sponsors and fans will descend upon the Valley over two weeks in January for the Pro Bowl and the Super Bowl. This is a great opportunity to talk about how we, as a community, can influence our culture and help change societal norms. 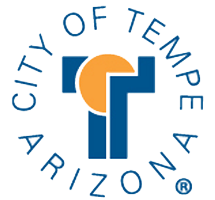 Touchdown for Tenderness is on January 27, 2015 at the Tempe Center for the Arts located at 700 W Rio Salado Pkwy, Tempe, AZ 85281. Copyright 2014. Family Tree Healthcare. All rights reserved.